White card depicting baby riding a train. 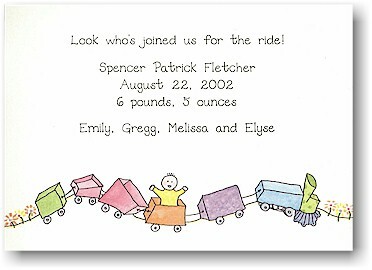 White flat card with baby riding in train car. Child's name can be placed at top or bottom.